30.5.1912: Launched by Goole Shipbuilding & Repairing Co Ltd, Goole (Yd.No.149) for Kelsall Brothers & Beeching Ltd, Hull as VIREO. 2.7.1912: Registered at Hull (H446). 7.1912: Completed (John E. A. Kelsall, London & George Beeching, Hull, managers). 10.1914: Requisitioned for war service as a minesweeper (1-6pdr HA) (Ad.No.383). Based Granton. 1919: Returned to owner at Hull(John Slater, London, manager). 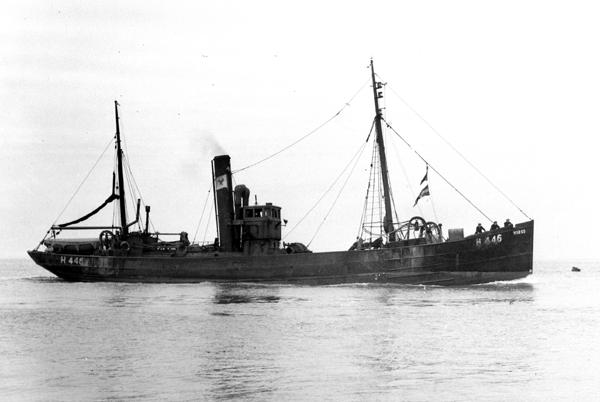 19.12.1924: Niels Hess (48), Mate, fell into sea and drowned when transferring fish to carrier. 1929: Robert Burton appointed manager. 3.12.1937: Sailed Brixham for Fleetwood in company with OWL (H801), fishing round. 13.12.1937: First landing at Fleetwood, 105 boxes grossed £94. 2.12.1939: Requisitioned for war service and appointed for minesweeping duties, employed on auxiliary patrol (Hire rate £48.0.0d/month). 27.12.1940: Requisitioned for war service and employed on harbour defence patrol (P.No.FY.1531). 12.1941: Paid off at Fleetwood “to be released”. 1.8.1959: Company taken over by Boston Deep Sea Fisheries Ltd, Fleetwood (Arthur J. Lewis, manager). 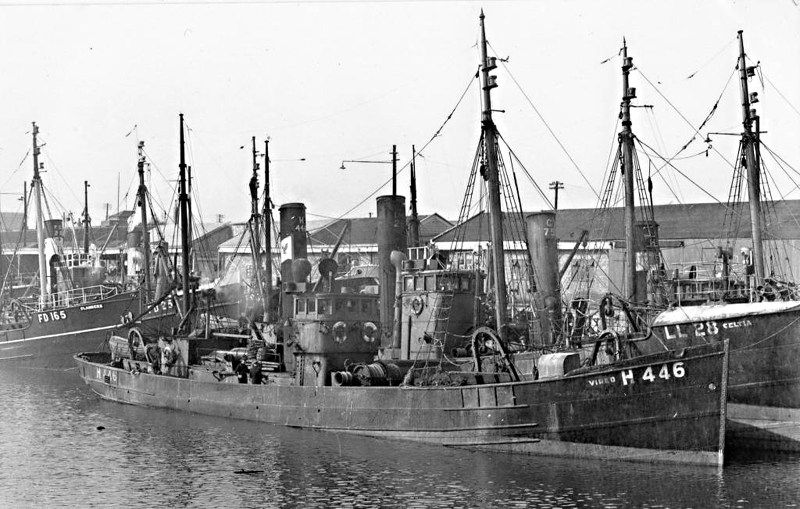 2.1960: Sold to Haulbowline Industries Ltd, Passage West, Cork for breaking up. 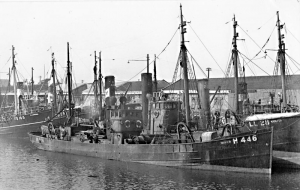 3.3.1960: Sailed Fleetwood for Cork. 17.3.1960: Delivered. Fleetwood registry closed. 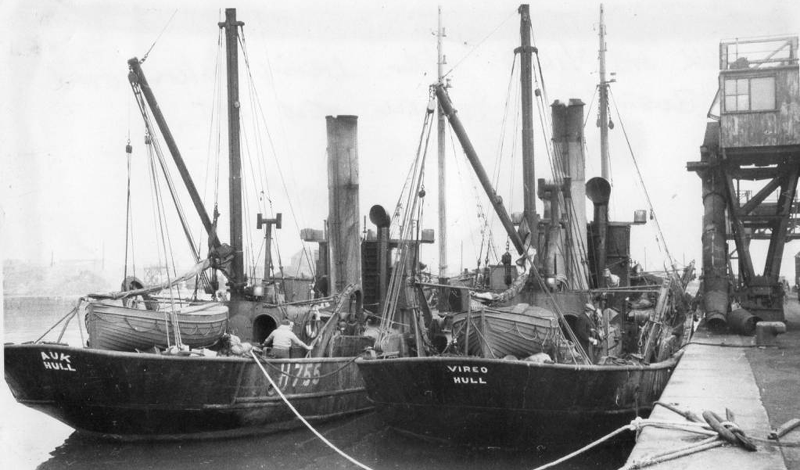 This entry was posted in Steam Trawlers, Steamers (Picture) and tagged Brixham Trawlers on January 19, 2009 by Fred Smith.